I felt like I was a cat. I felt like I was invisible. As your stone says, "We never had a chance to say goodbye"
Today I feel sad for some reason... I don't really know why. Going back to work after a long weekend has always seemed curiously disorienting. People come up and ask me about an ad I did on Friday and it seems like a lifetime ago. 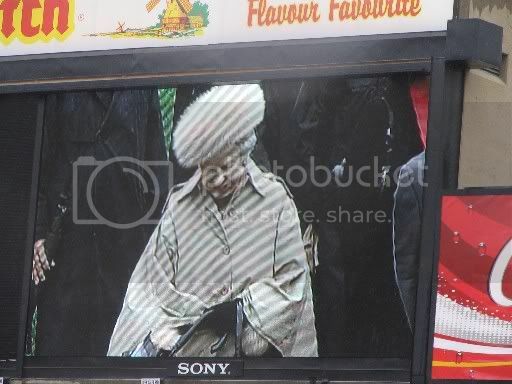 I've been to the Stadium to see the Queen! 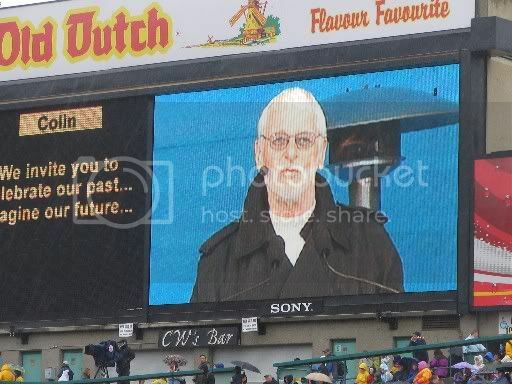 Yesterday I was offered two tickets to the Alberta Centennial kick-off celebration at the Commonwealth Stadium. Due to the rain I was unable to get anyone to come with me but I enjoyed myself. 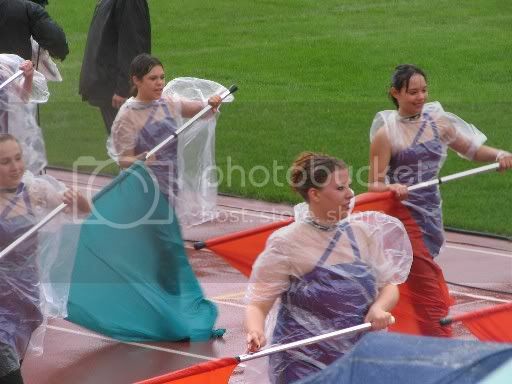 It was cold and wet and they had to shorten the concert - and what was with the so-called covered stage? It must have been pretty leaky - it was obvious the stage was practically flooded, and a few members of the otherwise spectacular White Buffalo Dancers took spills. But I must say I am impressed with my Canon PowerShot S1 IS, which got its first long-distance shooting workout today. 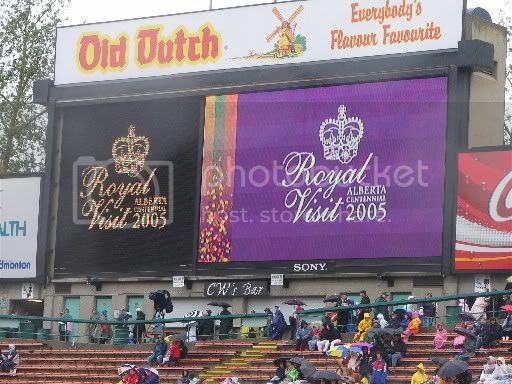 With a 32X maximum zoom and image stabilization, it did the job shooting from the sixth row of the Stadium to the centre of the turf. There was a big screen to see the proceedings. Co-master of ceremonies, CBC's Colin McLean. 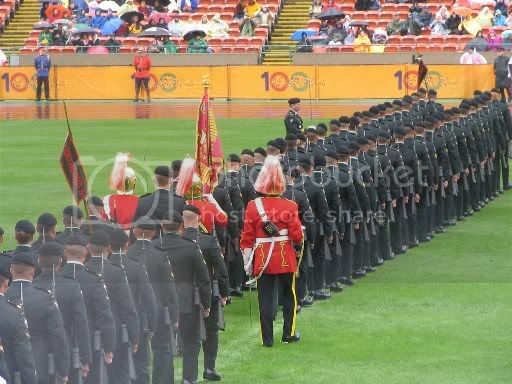 there were lots of soldiers and marching bands. 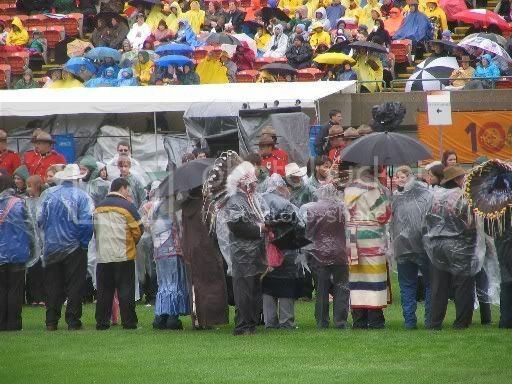 Some people representing Alberta's various cultures - the Queen did a walkabout with them and with war veterans. 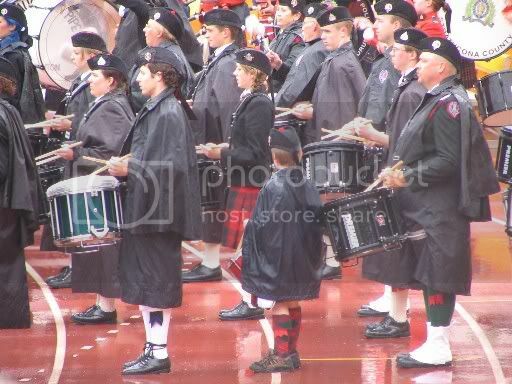 I thought this little guy was cute with one of the pipe and drum bands. 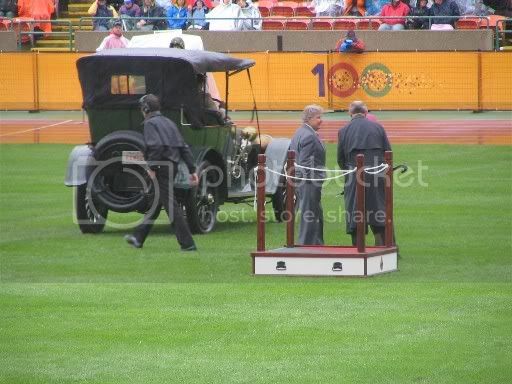 Premier and Dr. Klein (his wife) arrived in a 1928 Model T.
The vehicle containing the royal couple. 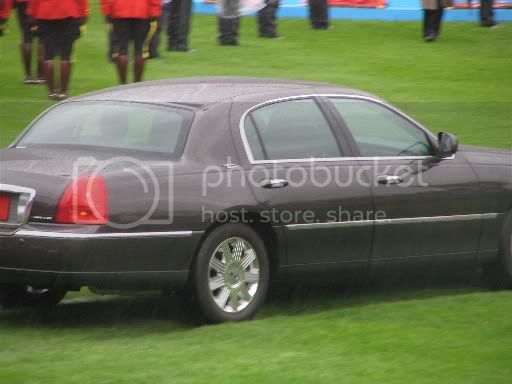 The Queen being escorted from the car. 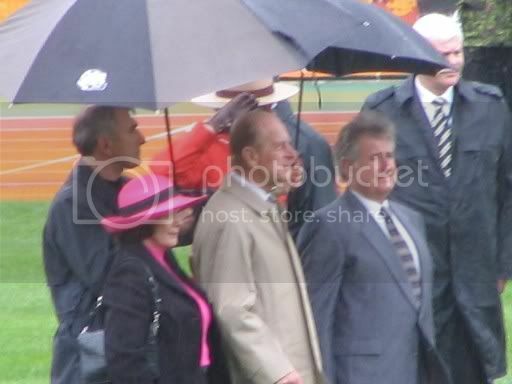 The Duke of Edinburgh standing with Premier and Dr. Klein. 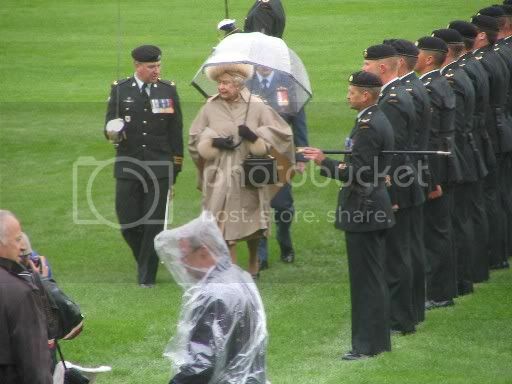 The Queen reviewing her honour guard. 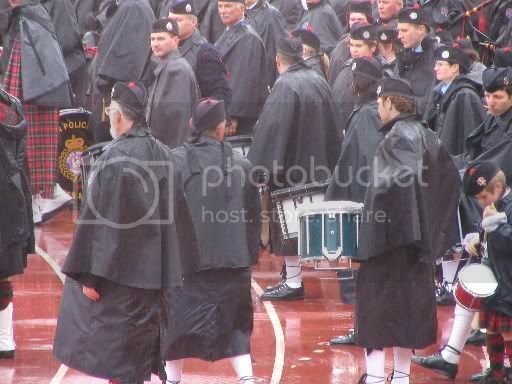 Every once in a while the drummers had to turn their drums upside down to drain. 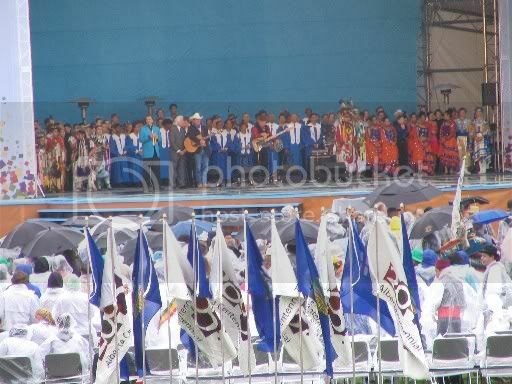 All the performers singing "Four Strong Winds" together. 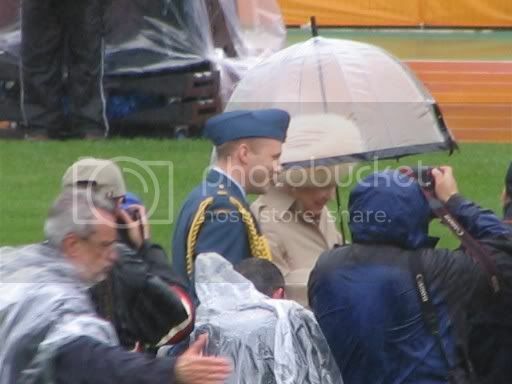 The Queen, as usual, was gracious and smiling and the Duke seemed to be enjoying himself too. Well, for a first post this is probably rather lame. It's raining and for most people that would be considered gloomy, but I love rain. I find it refreshing and nourishing. I hate bright sun and it hates me too - I sunburn, and get sunstroke, very easily.